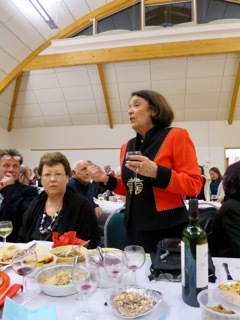 Report by Sylvia Mason on last nights (Saturday 17th February) Supra celebrating 30yrs of the organisation. 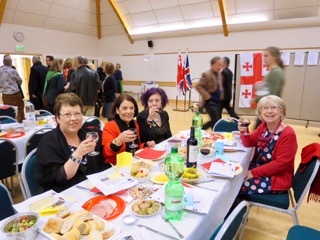 Members of the Newport Kutaisi Twinning Association travelled to Bristol on Saturday evening as guests of the Bristol Tbilisi Twinning Association. 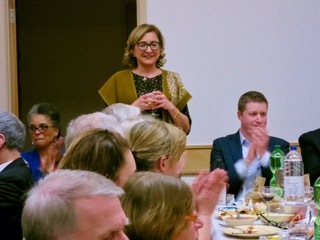 The event was a Georgian Supra to mark the thirtieth anniversary of the Bristol Association and the appointment of Derek Pickup, its chair, as Honorary Consul for the South West. 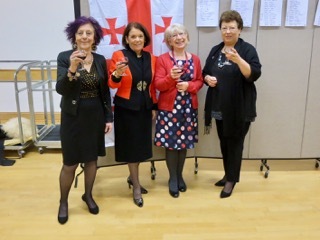 Other guests included the Georgian ambassador, the mayor of Bristol and representatives of Bristol’s other twinning associations. The toastmaster was the Romanian Consul.